Robert Pack is a narrative master blessed with a keen ear for everyday speech. 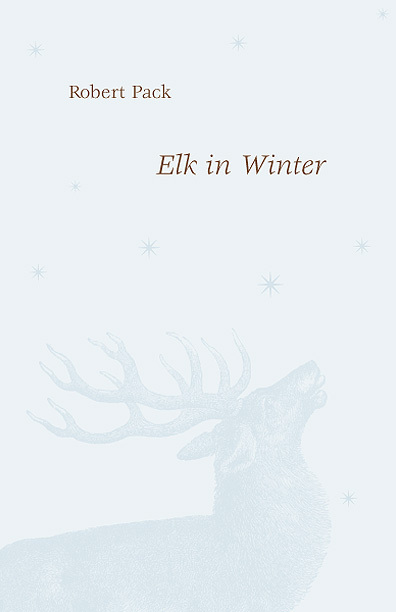 In poems that recall Robert Frost’s meditative regard of nature, Pack’s newest collection, Elk in Winter, resolves universal questions in the particular, the personal, and the intimate. This rich and varied volume moves from comedy to elegy, from lyric to narrative, in which individual characters are revealed and rendered symbolic by the stories that enclose them. What finally unites the poems of Elk in Winter is Pack’s desire to appeal to the ear as much as to the heart, and to discover and reveal the passionate music of ideas.